Lode Rinner game remake: run around a level gathering gold and eluding monsters. 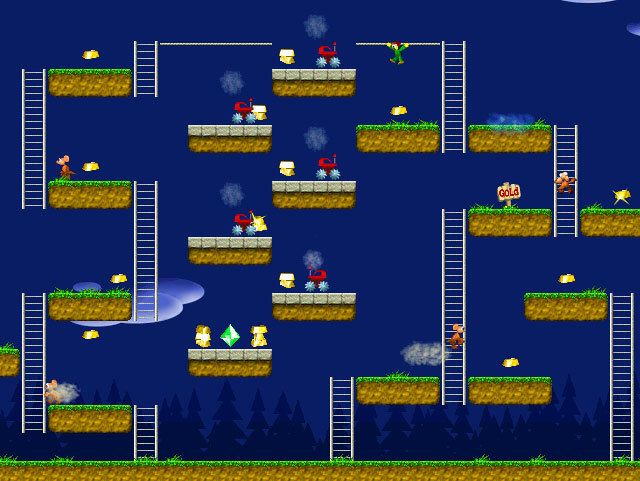 Lode Runner New - Gold Sprinter - This game is a remake to the classical game Lode Runner. 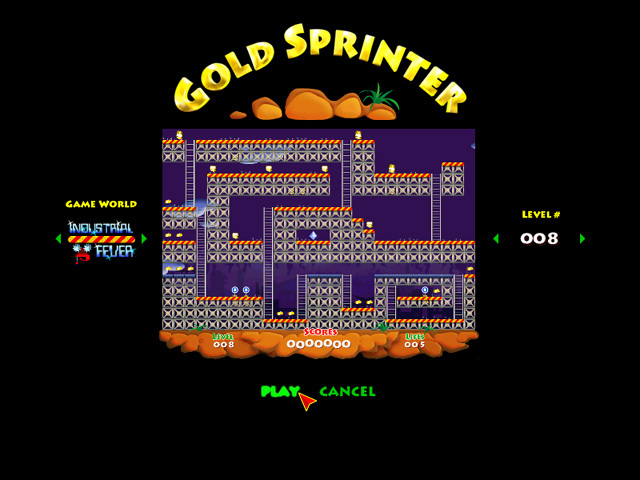 The core gameplay has remained the same as Lode Runner : Gold Sprinter runs around a level gathering gold and eluding monsters. The player can dig holes to trap monsters. Once all the gold has been collected the player can come through a portal to the next level - a seemingly easy goal that turns out not so easy to achieve. The way to glory is swarmed with annoyingly stubborn enemies whose only passion is their stash. Elegantly rendered 3D worlds and characters. True color graphics and animation. 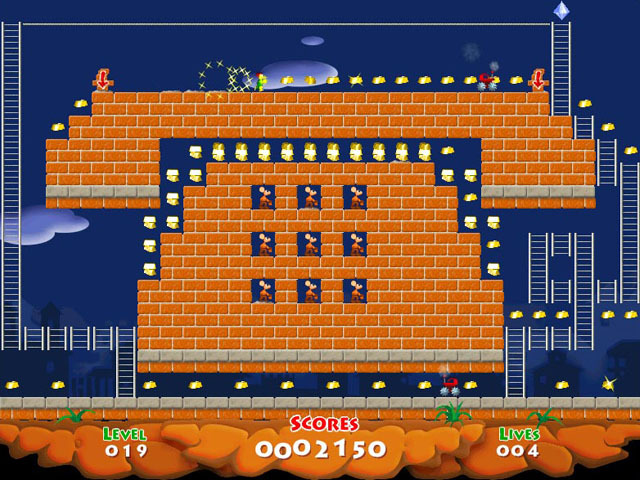 Over 100 puzzle and arcade-style levels. Easy level pack specially for kids. Dynamic particle system effects like smoke, dust etc. Funny sound effects and ambient music. More worlds, more levels, more fun for the Gold Sprinter! A non-violent, weapons-free and funny game with numerous interactive levels, monsters, treasures and bonuses. Now with 2 new worlds of 60 levels and 20 special kids levels for more fun!